Phototherapy or light therapy involves regular, but brief exposure to ultraviolet (UV) light with specially designed light emitting equipment. UV light suppresses the immune system and reduces inflammatory responses by the body. The UV light therapies include standard broad-band UVB phototherapy, narrow-band UVB and photochemotherapy (Psoralen-Ultraviolet A treatment; PUVA). Narrowband UVB is the most common form of light therapy used to treat skin diseases. 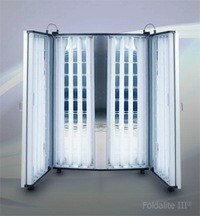 Narrow-band UVB light therapy uses a specific wavelength of 311 to 312 nm ultraviolet (UV) radiation. This range of UV light is most beneficial for treatment of psoriasis and other skin conditions including eczema, vitiligo, and lichen planus. In narrowband UVB therapy, higher intensity radiation is administered for a shorter duration and the course of treatment is also short. The aim of this therapy is to clear the skin of psoriatic patches. The course of therapy consists of approximately 30 treatments over a period of weeks. Treatment is administered in a hospital under the supervision of trained staff. Narrowband UVB has proved to be superior to broadband UVB in the treatment of psoriasis because it involves fewer treatments with less risk of sunburn-like side effects during treatment. Narrowband UVB treatment involves two to five visits a week to the hospital. The patient stands in the center of a special cabinet with fluorescent light tubes while wearing protective goggles. The involved areas of the body are exposed to the UVB for a short time (seconds to minutes). The effects generally start to become noticeable after five to ten treatments. Most patients require 15-25 treatments to clear the psoriatic patches, and then will require less frequent maintenance therapy for prevention. Considering the various therapy choices available, narrowband UVB represents an effective, safe treatment with minimal side effects. It is very good for treating patients with large areas of body involvement and reduces the need for messy cream applications. It can also be used to fortify existing treatments and shorten time to resolution of the condition. The skin may turn slightly pink in color after each treatment. It can also cause burns similar to sun burn. 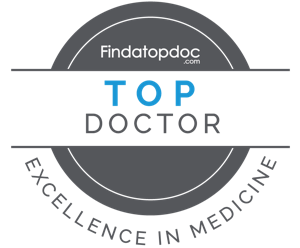 Emollients can be applied to the burned skin and your dermatologist may recommend topical steroid creams. It can sometimes provoke rashes caused by photosensitivity (polymorphous light eruption).